This is a big year for women writers. The Australian Women Writers Challenge is building on the strength of last year, the first Stella prize has been awarded and in a pleasing turnaround, this year's Miles Franklin features a long list of women writers. 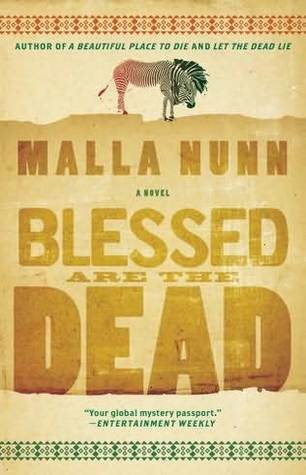 So what better time to congratulate Malla Nunn, one of Australia's leading crime writers - and my friend, who is heading off to New York in a couple of days to attend the Edgar Awards. This is Malla's second Edgar nomination and a glance at the 2013 shortlist indicates that it's going to be a great night in New York. If you are not familiar with Malla's work, then you have three fabulous books to look forward to with a fourth about to go to editing stage. Malla's books are set in 1950s South Africa, the period when apartheid was being codified into law, society divided up along racial lines by a philosophy that was intrinsically evil. In this vicious and tragic milieu Detective Emmanuel Cooper and Constable Samuel Shabalala work to achieve justice for victims of crime in a society that is fundamentally unjust. The series delivers social history seamlessly contained within the crime fiction genre, featuring a memorable protagonist who embodies the heartbreak of a nation. I can no longer judge my own writing in terms of its ability to save Africa. Instead, I can invite readers into an exquisite, wild part of the world where exciting things happen. I can tell stories where despite the obstacles, people fight for each and for justice. I met Malla because we share an agent, the wonderful Sophie Hamley. Meeting Malla and reading her extraordinary books has been a highlight of my own publishing experience. So, bon voyage, Malla and bonne chance at the Edgars. We'll be raising a glass to you back here.